Pyramid III was created for InFlux 7 by artist Rossitza Todorova in 2018 with a grant from InFlux and Scottsdale Public Art. The sculpture is on view on the North East corner of Scottsdale Rd. and Roosevelt St. in Scottsdale Arizona until February 2019. 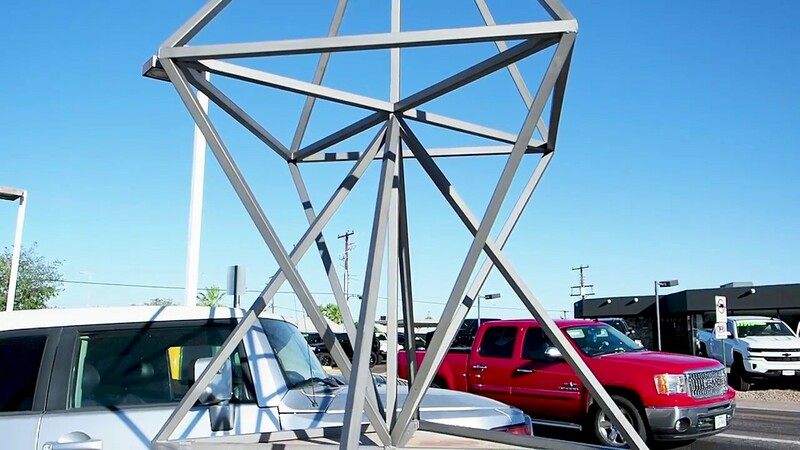 My first public artwork, "Pyramid III" is on view at the North East corner of Scottsdale Rd. and Roosevelt St. in Scottsdale up till 2019. This project was made possible by In Flux, the Scottsdale Public Art and Magnum Companies.